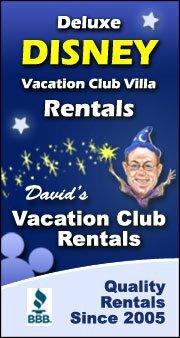 Disney World Hotels- Immerse yourself in the magic! Disney Vacation Planning articles including Disney Special Events such as MNSSHP and MVMCP, Disney restaurants, and our Complete Guide To Disney’s Boardwalk series. Also be sure to check out our Disney Resorts section with helpful reviews on all the great Disney Resorts and Hotels, our favorite Disney hotel booking sites and discount resources, and other information about Disney Vacation planning. In this post we let you in on a little secret: The Character Palooza at Hollywood Studios is a somewhat secret Disney character meet and greet. At this non advertised somewhat secretive character event located outside the entrance of Hollywood Studios you can meet some truly unique Disney characters. Read more to learn how you can locate and participate in a Disney World Character Palooza at Disney’s Hollywood Studios. Mickey’s Not So Scary Halloween Party (MNSSHP) is one of Walt Disney World’s most popular hard ticket events. As such, the bloggers of DisFanChat felt a Twitter Chat was in order. In this post learn what other Disney fans have to say about attending MNSSHP and whether it is worth the extra ticket price.